Everything We Keep by Kerry Lonsdale. Enjoyed this book, lots of twists and turns. 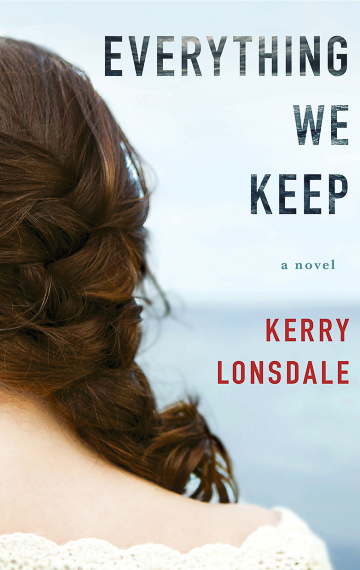 Book Review of Everything We Keep by Kerry Lonsdale. Everything We Keep by Kerry Lonsdale is a book that has it all. I chose it because in the description it stated that the main character, Aimee Tierney is a sous chef and that she opens a restaurant. I love reading about all things food, so that was my number one reason to chose the book. It ended up being so much more than that. Aimee Tierney’s fiance James goes off on a business trip and disappears after a boating accident. On her wedding day, she is attending his funeral instead of her wedding. As she sets about to starting her life over with James, she starts looking into his disappearance. She begins to uncover secrets about James. When a psychic informs her that James is still alive, Aimee sets off to where he had the boating accident. There she meets a gorgeous photographer named Ian. Ian starts falling for her, but helps her with her quest to find out what she can about James. There are lots of twists and turns in the book. Lots. Some of them more believable than others. Every time you think you know what’s going on, believe me you don’t. Part love story, part mystery. I enjoyed the book, though I do admit that it was a little far-fetched at times. That does sound like an interesting book. I especially enjoy memoirs than include recipes. 10 Mimosa Recipes to Make Right Now! The Best Instant Pot Cookbooks!